For students just learning how to write in cursive, I have numerous worksheets available that cover both upper and lower-case versions of the cursive alphabet. To get started, check out the first unit of cursive writing worksheets (links at bottom of page). Those of you that have already completed the free lessons may be interested in some of these books below. 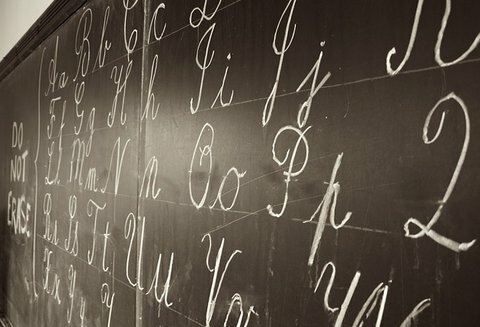 They offer cursive handwriting practice sheets from a variety of makers. I can personally recommend the Handwriting Without Tears series as we've used it in the past in early education settings through Occupational Therapy. You can also purchase practice paper for home and school use or print out these free handwriting sheets. The books below are great tools for teaching your child cursive letters. Browse through the products below and when you're done, be sure to try the printable cursive worksheets I've prepared.